Today, I’m going to talk about some new MLM companies that are flying under the radar. MLM companies come and go. While we often state that you are normally safer making sure a MLM company has gained a foothold before you join, there are those times when jumping in at startup is not a terrible idea. There are some key factors you should always consider before joining any MLM company. Do the key leaders have experience running a MLM company? Does the company have a unique selling proposition? Does the company have a variety of products or services or are they relying on one? Is the company focused on creating new products and brands? Is the company moving into international markets? Are the products or services priced competitively? Does the company’s cash flow and income statements look good? Is the compensation plan fair? Does the company offer extensive training programs? By reviewing all of these questions, you can have a head’s up on the stability of the company and if you will have a good opportunity with them. In today’s post, I am going to share several new MLM companies. Neither I nor Online MLM Community are affiliated with any of these companies. We are providing this list for educational purposes only. If you have worked with any of these companies and have an opinion on them either positive or negative, please leave it in the comments area at the end of this post. Launched in 2013, this MLM company does have a great program and plan. Simply Fun offers multiple interactive games for children. They meet National Core Standards, Skill Development, Special Needs and Autism Needs. Simply Fun is a member of the Direct Selling Association. To me, this seems like a great MLM company poised to make big moves in the MLM industry. The President and CEO of Simply Fun LLC is Patty Pearcy. Here is the Simply Fun website. This MLM company was founded in 2011. In a unique system, KaratBars offers small portions of gold that come in 1, 2 ½ and 5 gram cards. Gold is a precious metal that is a great investment. They pay representatives on a binary and unilevel compensation plan. The headquarters for KaratBars is in Stuttgart, Germany. The gold is produced in Turkey. You may want to check out this highly unique MLM company. See the KaratBars website here. This is a highly unique MLM in that it is tapping into the online advertising system. It was started in 2014. You can get ads for your business and attract others to purchase ads and you get a small percentage of the purchase they made. You can make money several levels deep. It seems many people are jumping into this MLM. This health and wellness MLM is based in Pleasant Grove, Utah and has been in operation since 2014. They offer a wide range of products and a compensation plan that many independent representatives seem to be quite happy with. For those who want to be an independent Q Sciences business owner, the start up business fee of $99.95. You can see more about Q Sciences at their website here. This MLM started in 2015 and for independent representatives, they claim it is like owning your own travel agency. You have the ability to sell vacation packages all over the world, and when you attract other independent Zyn Travel agents, you earn from the sales they have too. There are several membership levels for Zyn agents that determines the amount of commissions they are paid. This company based in Utah offers a wide range of nutritional and weight loss supplements that have been greatly accepted. The company was started in 2014 and has had phenomenal growth since. The reviews I have found from independent SPX representatives have stated that SPX offers a great training program. If followed, the reps will make money. While not a new MLM company, it is new in the United States. Naturally Plus started in Japan in 1999, but they have been expanding worldwide. The primary product the company focused on was the supplement Super Lutein, but they have added a wide variety of other products. Products sold in the United States are packaged and shipped from the U.S.
NPUSA is a wellness and health oriented MLM. You can view the NPUSA website here. Based in Utah, Liv International was founded by one of the early product designers at Nature’s Sunshine. Liv International distributes a wide range of products meant to help humans live a healthier and meaningful life. They also have a great program in which not only are people healthier, they can gain wealth by having their own Liv International business. You can see more at the Liv International website here. Valentus is headquartered in Sparks, Nevada. Their primary product line is all liquid. They make energy drinks, nutritional drinks and even coffee. Valentus is looking to expand its product line as they move forward, but at this time, they are doing well with the products they offer. If the Valentus line is something you may be interested in, you can visit their website here. Younique has been operating since 2012, so they have gained a foothold in the MLM industry. Using a party plan, Younique hostesses are all about helping women feel more beautiful. They have stepped into a social media presence like no other MLM companies. I look for Younique to move up the MLM mountain. Their website was created in 2013 and they are based in West Seneca, New York. The idea is to have a healthier lifestyle, a wealthier lifestyle and fun doing both. They offer a variety of supplements in the form of shakes and meal replacements to help you lose weight and still receive the nutrients your body needs. Visit the Jump Natural website here. This MLM is in Mexico and I predict that in time, the idea will move into the United States. A way to clean and do other things without using water…a resource that is disappearing in some areas. The Sin Acqua website is in Spanish, but if you use Chrome it will translate it for you. You can visit the Sin Acqua website here. With a focus primarily on weight loss, Xerveo also offers some cool products away from that line such as artisan soaps. Located in Salt Lake City, Utah, Xerveo is making a climb with their unique line of products and their compensation plan that is representative friendly. This is a highly unique multilevel marketing system for musical artists. You can join and sell albums, CDs, and concert tickets and receive compensation. When you bring others in under you, you can also get compensated for sales they have. This MLM has been operating for awhile, but has been gaining ground. I could not forget about this MLM that just opened in 2015. Our friend, Erik Christian Johnson had shared about My Daily Choice over on his blog. They offer a spray system. Sprays that will help improve brain function, give energy, help you sleep and much more. What’s more, My Daily Choice will ship to nearly any country. You may want to see more on this new MLM by visiting their website here. Aroga Worldwide has a technology that is grabbing many people. The unique Hologram technology can help you in all areas of life. You simply put the programmed hologram disc on a pressure point and watch changes happen. Personally, I predict that Aroga Worldwide is going to grow to large proportions. I work with a network marketing company that is under the radar and growing quickly. It offers natural and organic products, including CBD Hemp Oil. The comp plan is killer. We give you 200 free leads each month. We even have a postcard marketing system along with free capture pages and auto-responders. If you’d like to learn more about it, you can check it out right here. On a regular basis there are new MLM companies starting up. 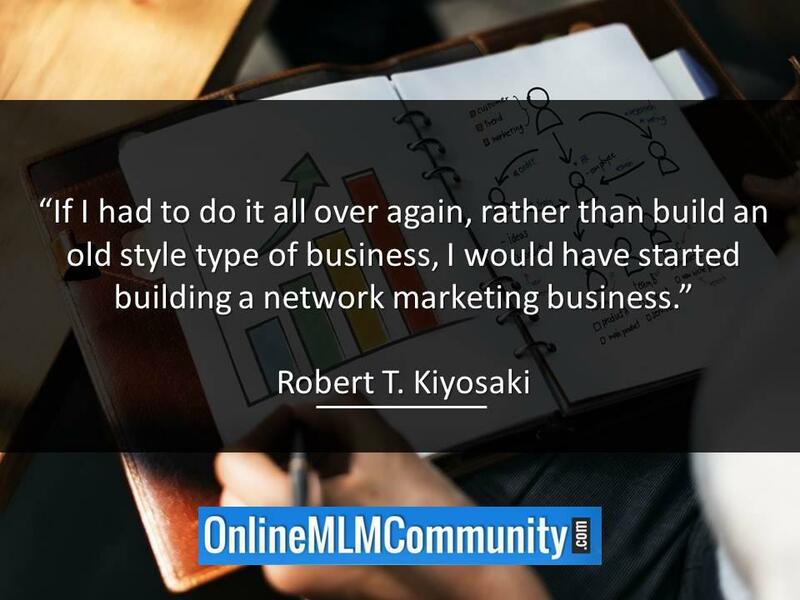 It would be nearly impossible for me to list each and every new multilevel marketing company that has started. Many MLM companies close down too. The companies I have listed here are, in my opinion, the best poised to last and be successful. Do you know of any other new MLM companies that you believe are a good company that will last? Are you a member of any of the companies I listed here? If you are, please tell us more about the company and your successes with it. If you have had any negative results from any of these companies, we are open to hearing those too. Just share any and all comments below. Thank you. A fast growing MLM company in India is Glaze Trading India Pet. Ltd.